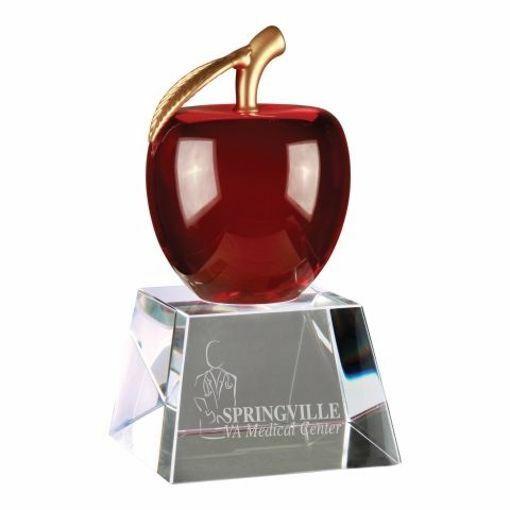 Newline Trophy is known for our crystal awards that are unique and beautiful and our Crystal Red Apple crystal award is no different. This crystal trophy is perfect for academic or educational institutions, as a year-end teacher gift to acclaim his/her extra effort. With free engraving from NewlineTrophy.com, you can't go wrong.